Is there a better alternative to Base64Anywhere? Is Base64Anywhere really the best app in Contextual Menus category? 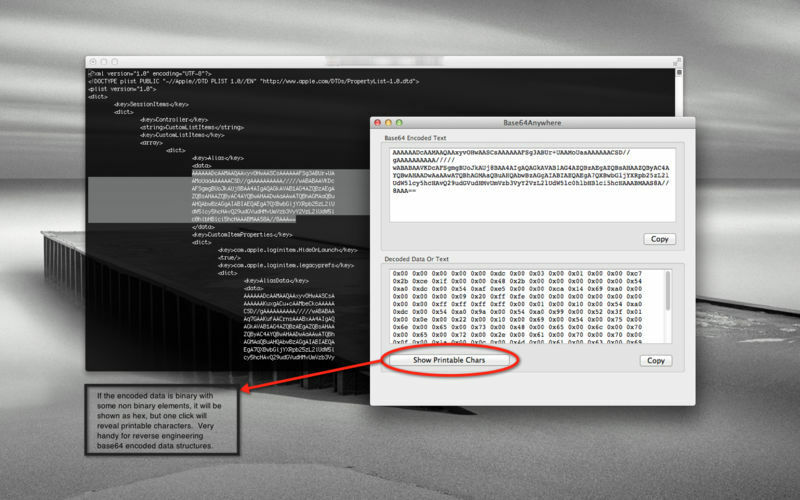 Will Base64Anywhere work good on macOS 10.13.4? 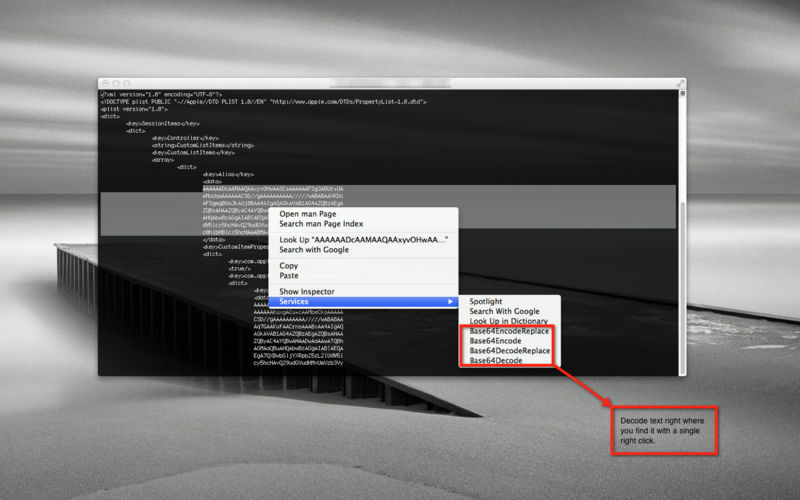 Base64Anywhere is an OS X service and application that allows you to encode files from a right click context menu in Finder, as well as allowing you to encode text as Base64 or decode from Base64 with a right click from IDE's, text editor's, terminals, etc. There are many Base64 encoders/decoders, but Base64Anywhere is about allowing you do your encoding or decoding contextually. Wherever you see a file or text that needs encoding or decoding, you can simply select and right click to perform the operation you need. A few tweaks to make copying content do what most people expect it to do. Base64Anywhere needs a review. Be the first to review this app and get the discussion started! Base64Anywhere needs a rating. Be the first to rate this app and get the discussion started! 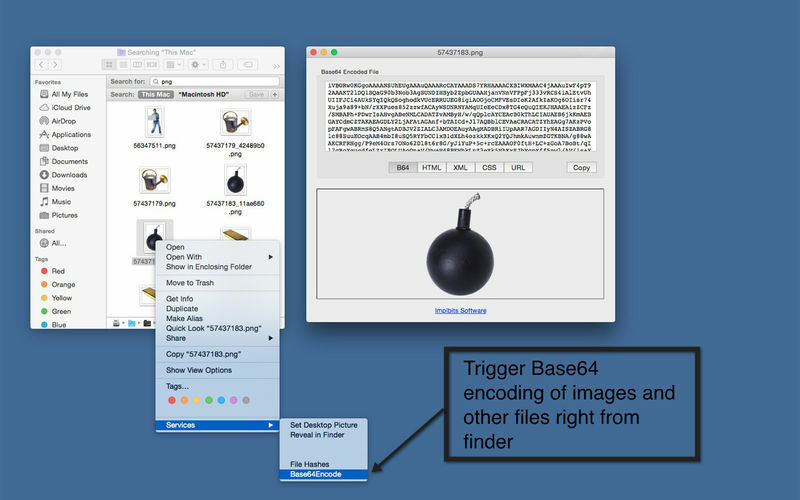 Base64 encodes whole files (including JPGs/PNGs/etc) with a single click from finder, and easily formats base64 encoded images for inclusion in CSS or web pages. 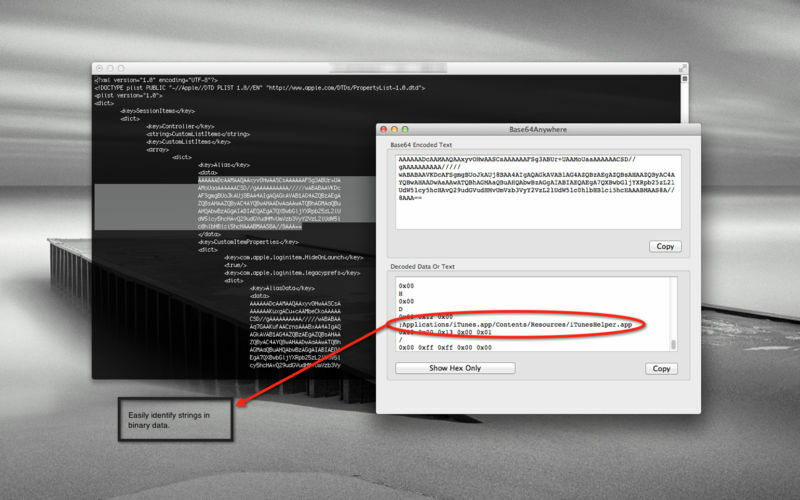 Encode or Decode text inline if you application supports it (text editors, programming IDE's, etc) or you can send the text to the Base64 interface where it will be displayed with its encoded and unencoded representations. When decoding Base64 encoded data, binary data will be shown in Hex, with the option of revealing printable characters. This is very handy for reverse engineering Base64 encoded data structures. 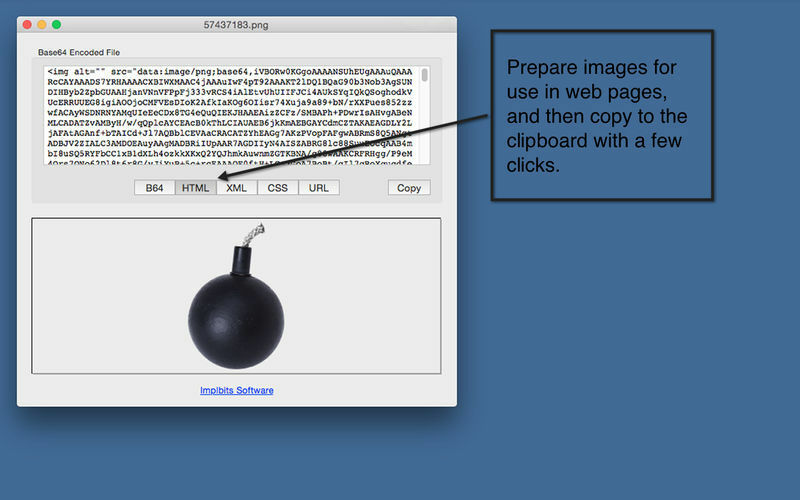 When decoding Base64 images, the data will be recognized as an image and instead of seeing the decoded bytes, an image will be displayed.